The Great Basin in Nevada is calling, where work and play are one in the same. Las Vegas is where titans of science and industry from around the globe meet to exchange ideas, conduct business, and dine at renowned restaurants. Travel north to the “Biggest Little City in the World” and visit Reno’s luxury casinos and ski resorts. Just south of Reno, Lake Tahoe awaits your corporate group. 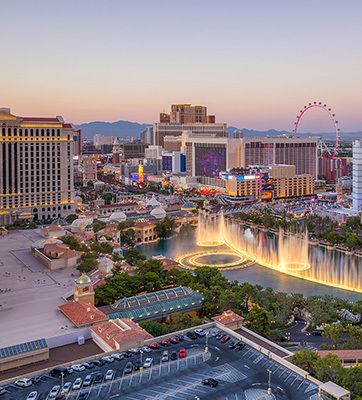 Host to more than 20,000 conventions and incentive programs annually, Las Vegas garners an average increase of 13% in event attendance when selected as the destination. 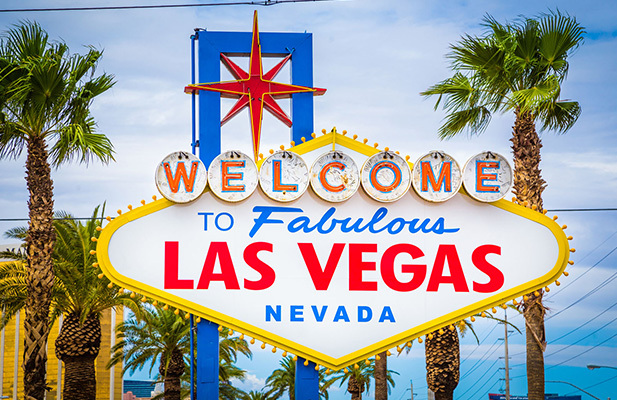 Plus, the McCarran International Airport, 100,000 hotel rooms, and the iconic Las Vegas Strip make choosing Nevada for your annual executive retreat a no-brainer. In Nevada, your PRA team can help you appreciate that exciting meeting spaces as well as world-class dining and entertainment options are in excess. Indulge your participants in a program in Nevada for a truly dynamic memory-maker.